This tool has been developed by a company who are the pioneers of payroll solutions that are widely used in the current scenario. This patented technology has been the winner of many awards such as Biometritech 2002 Award for being the product of the year, Hong Kong industrial award, etc. Needless to mention, this company is now widely revered to be top in the industry for providing payroll and performance monitoring solutions. What is this product? This product operates solely based on LAN/WAN setup which can be accessed and controlled via internet. This functionality makes this device ideal for companies who have their branches in multiple locations. 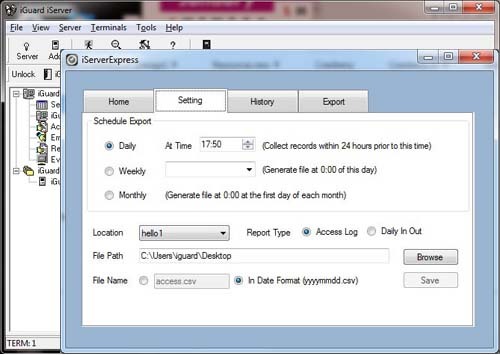 All employee records, employee data, access logs will be synchronized automatically via Master and Slave combo, which is easily connected to iGuards present at each location. The device been serving the market for more than 10 years and has a clientele base of over 1000. Head over to http://www.lucky-tech.com/en/home to know how Payroll solutions have never been easier than how it is for iGuard. A cloud-based service which works seamlessly with iGuardExpress and all other iGuard models, and provides essential payroll functions for your company. A no-frills Time-Attendance device with built-in camera to take snap-shot of each clock-in / -out record. Works with most popular smartcards. An award-winning, industry-first Access-Control & Time-Attendance System with built-in Web Server. Supports Smartcards & Fingerprint Authentication. A Desktop Application to automatically collect employees' access logs from iGuard devices & save the records to any desktop, which can then be used by other payroll applications. 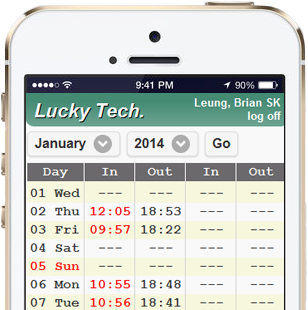 Employees can now easily retrieve their attendance records at any time simply with their mobile devices. Unlike other similar products in the market, our Access Control and Time & Attendance products are designed to be able to directly connect to your company's network or to the internet. The access log records collected by our products can therefore be sent directly to the database server immediately, providing you real-time information about your employees' access records for instance. Some of our products also have built-in web server for you to directly access and retrieve the employees' records via internet browser. 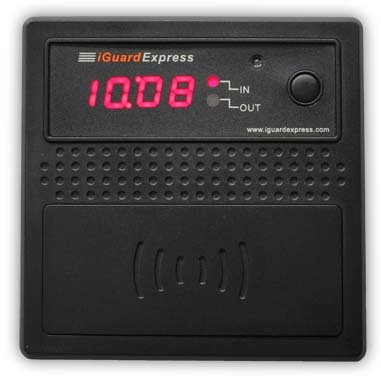 Our iGuardExpress and iGuard devices are products to record employee attendance accurately. The records can be retrieved in real-time manner either via the devices' built-in Web Server or via our iGuardPayroll Cloud application. Our cloud-based iGuardPayroll service is a free service for all iGuardExpress and iGuard users. It provides a persistent storage for all your company's access logs (up to 5 years or 1 million records). It also provides basic payroll functions and a lot of reports including late and OT reports, leave reports.... etc. All these can be accessed anytime and anywhere in the world via any internet browser. 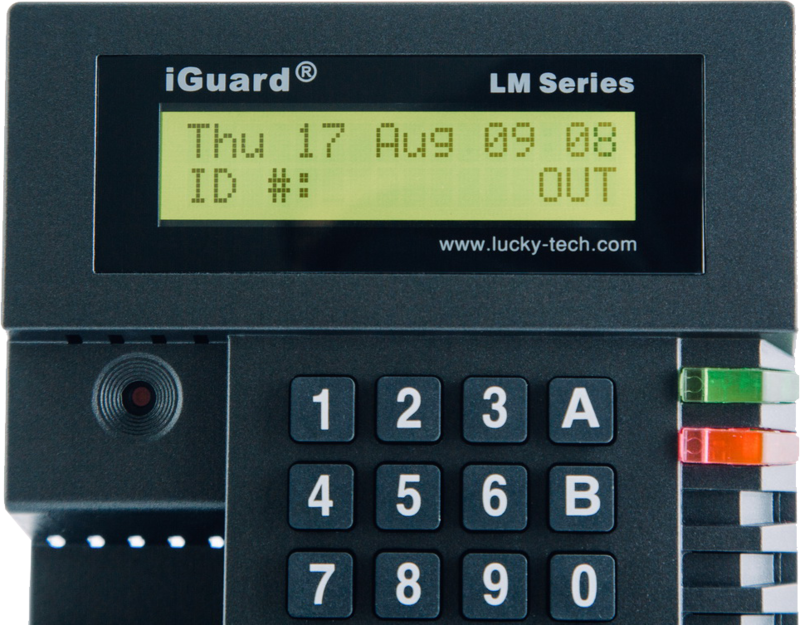 Our iGuard device can restrict employees of physical access to your company or to a particular place in your company. They are authorized based on the time, date, place and the departments they belong to. We are a Hong Kong based company designing and manufacturing Access Control and Time & Attendance products for business. Having been in the industry for over eighteen years, we have developed a series of network-based & cloud-based products and services that are especially suited to provide real-time applications and solutions for our customers. Our products and services are sold in many countries. For an extremely low price per month, you can immediately start using iGuardExpress and all the features provided by iGuardPayroll website. No contract. No commitment. No catch. No risk. 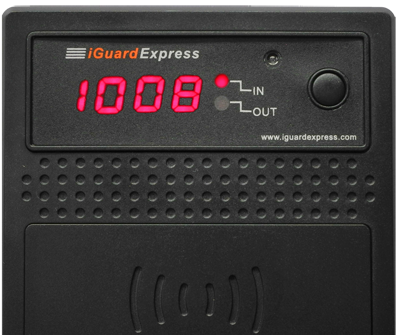 Note: This pay-as-you-go subscription model applies to iGuardExpress only. Applicable in both Time Attendance & Access Control applications, our iGuard FOSC model also uses fingerprint to identify employees, providing highly accurate and reliable authentication. Want to see what our happy customers are saying? All our products support Mifare® contactless smartcard. In addition, iGuardExpress is able to sense Octopus card and supports other popular smartcard standards, including ISO/IEC 14443 and Sony 13.56 MHz FeliCa.